Place wheat beer in an open container and add the Lemon Verbena and infuse for 1 hour. Strain and freeze until just mushy (granita). 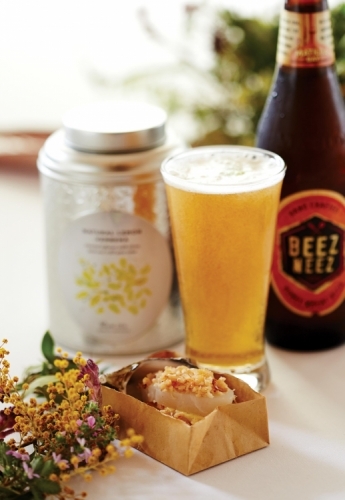 Half fill a beer glass with the frozen tea and top with a squeeze of lemon juice and fresh wheat beer. To finish, drop in a cube of fizzing sugar.